Detail from the seminar's poster. Socrates S. Koursoumis (Ephorate of Antiquities of Corinthia) is the speaker of the next Roman Seminar, entitled «”…και ήγαγον αυτόν επί το βήμα… Old and New Narratives on Religious Ethics and Groups in Roman Corinth». 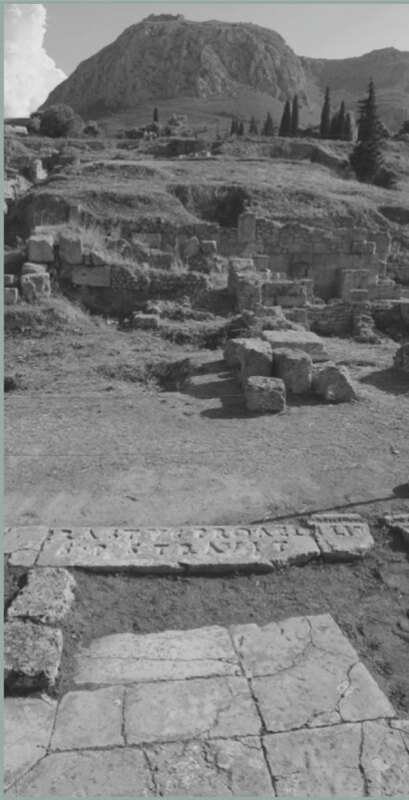 The Roman Seminar is an initiative supported by four institutions (German Archaeological Institute, Benaki Museum, National Hellenic Research Foundation – Institute of Historical Research, Swiss School of Archaeology in Greece). It aims to strengthen and advance scientific research and knowledge of Greece’s Roman past.